Is Adron Chambers the Spark the St. Louis Cardinals Need? With Yadier Molina and Shane Robinson being placed on the 15-day disabled list, the St. Louis Cardinals have called up Adron Chambers and Brock Peterson from Triple-A Memphis. With the offense scoring a grand total of six runs in the past six games (all losses), the team obviously needs a spark. Thus, can Chambers be the spark the team needs? In 326 at-bats for the Memphis Redbirds, Chambers is hitting .252 with eight home runs and 42 runs batted in. His on-base percentage is .338, and he is 15 for 17 on stolen bases. 25 of his 82 hits are for extra bases (eight home runs, four triples, 13 doubles) which gives him a .390 slugging percentage. The big problem the Cardinals have now is that both of their center fielders bat left-handed. With Robinson being a right-handed bat, the team had been splitting time–giving Jay starts against righties and Robinson against lefties. Thus, if you compare the numbers, Chambers and Jay look like identical hitters. They have average to above-average numbers against right-handers, and they struggle mightily against left-handers. 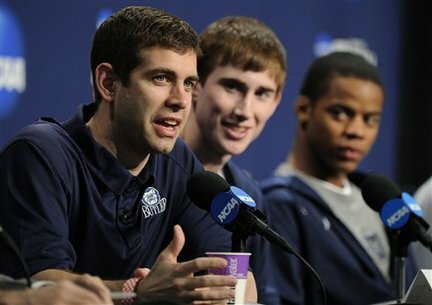 However, as we all know, Jay’s defense has been lacking this season. His arm strength is poor and his reads on fly balls are just a step slower than past seasons. Chambers is not necessarily known for his throwing arm either, but he can chase down fly balls with the best of them. His outfield range is probably the best in the entire organization. Chambers is absolutely ON FIRE in July. He has a .354 batting average, .391 on-base percentage, .573 slugging, four home runs, and 16 RBI. He is also 7 for 7 on stolen bases. Thus, with the funk that the entire team seems to be in right now, Chambers should be given an opportunity to start in center field for the Cardinals. He has a fresh mind that has not been around the clubhouse that is undoubtedly down right now. He can bring an enthusiasm to the lineup that the team does not necessarily have right now. With Jay’s decreased range this season, Chambers will provide an upgrade in the field, a slight upgrade at the plate, an upgrade on the base paths, and frankly, he is on fire right now, so he deserves a shot. He very well could come back to Earth now that he is facing Major League pitching, but to me, with the way things are going for the offense, he is fully deserving of a shot to be in the starting lineup. Will Matheny do this? Probably not, but if I was the manager of a team currently in a six-game losing streak, I would switch it up and insert Chambers into the lineup. Oh yeah, one more thing: as I noted on Twitter, in his MLB career, Chambers is 2 for 4 with two triples and three RBI when putting the first pitch in play. Thus, when he comes to bat for the Cardinals, look for him to be first pitch swingin’! 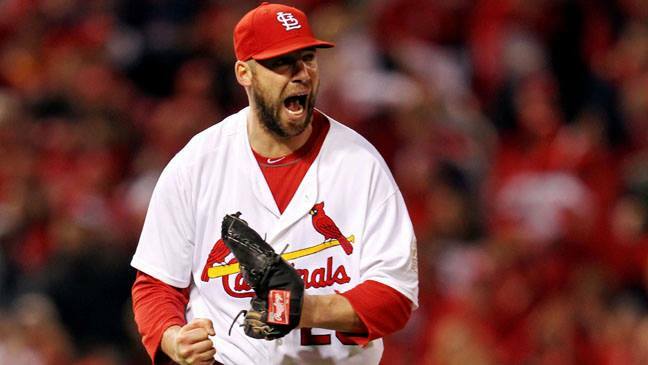 If this latest setback is truly the end for Chris Carpenter, then dang, what a ride it has been over the past ten years. Given that time-frame and what he has been able to accomplish in a St. Louis uniform, I do not know if there is another major league pitcher I would have wanted on my team more than Carp. 197 regular season starts and 18 post-season starts later, Carpenter can officially go down as one of the Cardinals’ all-time greats. Thus, in two words to describe ten years: thank you. Thank you for the comebacks. Sure, it would have been nicer to be 100% healthy in a St. Louis uniform, but to be honest, I think the fans enjoyed the comebacks. It was always nice to know that Carp could be on his way back at any time, regardless of the injury. Thank you for pitching well enough to have a .683 winning percentage (95-44) with the Cardinals. Thank you for being one of the best post-season starting pitchers of all time–10-4 (.714 winning percentage) with a 3.00 earned-run average in 18 starts. Thank you for the masterful performance against your buddy, Roy Halladay, in game five of the 2011 NLDS. Given the circumstances, I still think that was the best pitching performance I have ever seen. A 1-0, 3-hit shutout on the road against THE Roy Halladay? There is no way. Well, it happened, and it helped spring-load the team to the 2011 World Series. Thank you for your performances in the 2006 and 2011 World Series. I don’t need to describe them because the table below sums them better than words can describe. 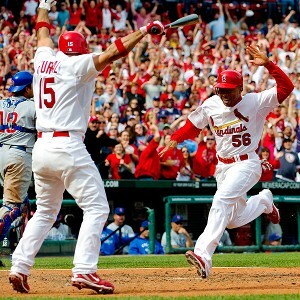 Thank you for this fantastic play in the 2011 World Series. Go ahead, you want to watch it again and again and again. Huge thank you for your role in some of brawls with the Cincinnati Reds over the years. The Cardinals had been lacking a true rival since the Chicago Cubs disappeared into an abyss, so it was nice to have that one team that I just could not wait to see the Cardinals play against. Lastly, thank you for not giving up this season even when the prognosis was poor and the outlook was cloudy. Most major leaguers would have packed it up and moved on to collect their last paychecks, but you battled your way through one last grueling comeback attempt. Though your career statistics may not be seen as Cooperstown caliber, you’re a first-ballot Hall-of-Famer in St. Louis. If asked who was the face of the St. Louis Cardinals over the past ten seasons, the national media might say Albert Pujols, but you are most definitely not far behind. It is going to be tough not seeing #29 out there on the mound next season, but the rotation is in good hands. Adam Wainwright has learned from the best over the past eight seasons, and if this season is any indicator, he has fully embraced the role as staff ace. Thus, if this is the end of your playing career, thank you. I feel like I can speak for the majority of Cardinal Nation in saying that, too. Let’s hope the team can add one more ring to your collection before you officially retire. Also, like I said here about Darryl Kile, I could see Carp returning as the pitching coach some time in the future. Until then, though, I believe there will be an open invitation for him to join the team in Jupiter for Spring Training as a special instructor. Cardinal Nation, it is time to give Lance Lynn some of the respect he deserves. But, Joe, doesn’t he have a really high earned-run average? Well yes, he does. His 3.98 ERA is the 35th highest of starting pitchers in the MLB. However, regular ERA can at times be deceiving, so there is another statistic out there to come to Lynn’s defense (pun intended? )–fielding-independent pitching (FIP). According to Fangraphs, FIP “measures what a player’s ERA should have looked like over a given time period, assuming that performance [by the defense] on balls in play and timing were league average.” Well, Lynn has the 16th best FIP in the MLB at 3.16. This ranks him above stud pitchers Cliff Lee (3.17), Yu Darvish (3.21), and Jose Fernandez (3.23). What about his efficiency? He has to be the least efficient pitcher out there, right? In short, no. Lynn is not the most efficient pitcher out there, but he is definitely not the least either. He is averaging 16.4 pitches per inning which is 28th highest in the league. Basing efficiency off this statistic, some notable pitchers that can be considered “less efficient” than him this season are Justin Verlander (17.4 pitches/inning), Gio Gonzalez (17.1 pitches/inning), and Shelby Miller (16.7 pitches/inning). Well, then he for sure doesn’t go deep into games, does he? This notion is incorrect as well. Through 21 games started this season, Lynn has 129 innings pitched, which means he is averaging just under six and one-third innings pitched per outing. Unless you are Adam Wainwright, the Cardinals really do not need the starter to pitch in the 8th and 9th innings that often with how effective Trevor Rosenthal and Edward Mujica have been this season. Thus, based on the average of six and one-third innings per outing, Lynn leaves only two outs for the rest of the bullpen to get before reaching the Rosenthal/Mujica combination. With how effective Seth Maness and Kevin Siegrist have been, they are fully capable of getting these two outs, so Lynn, once again, is not really punishing the team. Lynn is no Wainwright or Miller, but he does not have to be on this team. St. Louis needs him to step up and be a reliable third or fourth starter, and as shown above, he is doing just that. One last statistic I would like to throw out there is the quality start stat. A quality start is defined as any outing in which the pitcher completes six innings and allows no more than three runs. Lynn has 12 quality starts this season, second on the team to Waino (who has a league-leading 17). 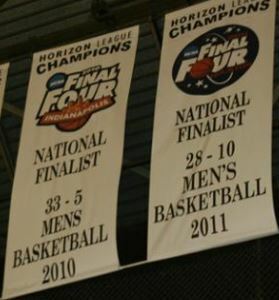 He has two more than Jake Westbrook and three more than Miller. Through 21 games this season, he has thrown 2,108 pitches. This averages out to be just over 100 pitches per outing. He needs to cut down on this or else he will have a second half just like last season. I delved deeper into his pitch statistics to see what can be done for him to improve, and I came up with one thing. Before I get to that, though, let’s go over the numbers. The “inefficient” pitcher, Lynn, actually throws more pitches in the strike-zone than Wainwright by 2.99%. Then, why does Wainwright average 14.2 pitches per inning–2.2 less pitches per inning than Lynn? Some would answer this by saying that Lynn just tries to strike everybody out. Is this really the case, though? Based on strikeouts and innings pitched, Lynn is averaging 0.95 strikeouts per inning compared to Wainwright who is getting 0.90 strikeouts per inning. Lynn may not be just pitching for strikeouts after all. Then what’s the problem? What is causing him to have the 28th highest pitch per inning rate in the majors? Let’s look into it a little further. Hitters are not swinging at Lynn’s pitches that are out of the zone like they are with Wainwright. Hitters are swinging at nearly 10% more of pitches out of the zone when facing Waino than when they are facing Lynn. Why is that? Though no one can be entirely sure, I think I have a good reason behind this. Using this table as reference, 84.78% of his pitches are variations of his fastball–fourseam, sinker/twoseam, and cutter. After including the changeup, 88.86% of Lynn’s pitches are considered “straight.” Sure, his sinker/twoseam and cutter have movement, but what makes these effective are their late movement–thus, they are not really considered breaking pitches. Thus, his relative inefficiency lies here. Lynn is unable to locate his “straight” pitches. To be honest, at this point in his career, he may never gain control of these pitches. He either will always be wild or needs to fine-tune his mechanics which is usually something that is reserved for the off-season, not in-season. To combat his inablity to locate his “straight” pitches, he needs to throw more curveballs. Hitters watch film and read scouting reports. They know that nearly 90% of what Lynn throws is straight. So if it looks like it is out of the zone coming from his hand, it will most likely stay out of the zone when it crosses the plate. The guesswork as to whether a pitch is going to be a strike or not is not as big of a deal for hitters facing Lynn. So, why is Wainwright so “efficient” when only 39% of his pitches cross the plate in the strike-zone? One of the biggest reasons is his regular use of his curveball. If Lynn wants to become more efficient, he needs to start utilizing his curveball more often. 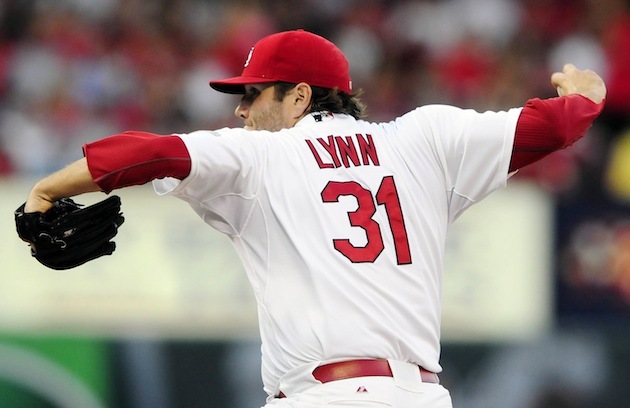 Wainwright throws his curveball 27% of the time, while Lynn throws his only 11% of the time. Sure, he does’t have a curveball half as good as Wainwright’s, but he needs to do something to keep hitters off-balance and second-guessing whether or not a pitch is going to be a strike or not. To date, one of his best outings this season was against the Pittsburgh Pirates on April 26th. He pitched seven innings, racked up nine strikeouts, and allowed just two hits and one run. In that game, Lynn used his curveball 22% of the time. He threw 106 pitches over seven innings–a 15.1 pitch per inning average. Thus, he was 1.3 pitches per inning more efficient than his current season average. The outing that had people cringing was his start against the Chicago Cubs just before the All-Star break. In that game, he failed to get through the fifth inning, allowing six earned runs in the process. In that game, of the 74 pitches he threw, only TWO of them were curveballs. Thus, unless he plans on magically gaining control of his fastball mid-season (very unlikely), he needs to start throwing his curveball more often. The statistics show that he is already missing the strike-zone 58% of the time, so he might as well make it a little more deceiving to the hitter by throwing a pitch that has movement. By doing this, he will not only get more swings on pitches out of the zone, but will also get more swings and misses on his fastball due to the velocity difference between the two pitches. Thank you for hanging with me on this one. Edward Mujica was an All-Star for the first time in his career this season, and he was well deserving of the honor. The St. Louis Cardinals are 25 games over .500 right at 62-37, and a pretty big reason has been Mujica’s performance as closer. However, as weird as this may sound to some people, Mujica is not the answer for the Cardinals if they want to make a deep playoff run to the World Series. Don’t get me wrong, Mujica’s statistics through 99 games have been nothing short of incredible for St. Louis. He is an NL-leading 30 for 32 (93.75%) on save opportunities, and he has appeared in 45 games out of the ‘pen. In 44 and two-thirds innings pitched, he has 38 strikeouts and just two walks. His earned-run average is near the league lead for relief pitchers at 2.01. He is holding hitters to a stifling batting average of .198. Lastly, for the sabermetrics guys, his 2.76 SIERA is still in the “excellent” range. However, for as good as Mujica has been this season, Trevor Rosenthal has been even better. 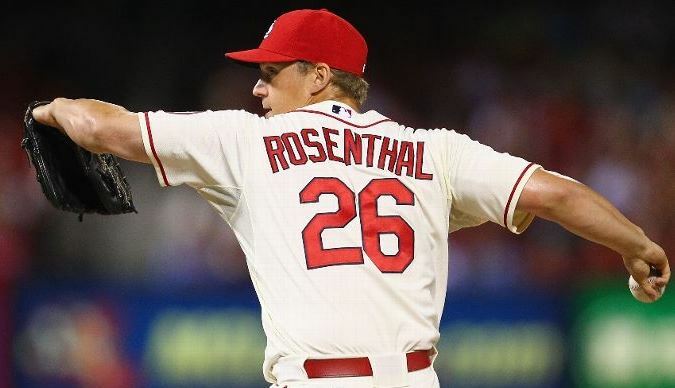 Rosenthal has 23 holds compared to just two blown saves thus far this season. Like Mujica, he has also appeared in 45 games. In 48 and one-third innings pitched, he has racked up 71 strikeouts to just 10 walks. His earned-run average rivals Mujica’s at 2.23. Batters are hitting just under .230 against him, which is slightly higher than Mujica. However, his SIERA is over one point better than Mujica’s at 1.71–4th best of pitchers who have pitched at least 40 innings this season. A SIERA as good as Rosenthal’s basically means that he is striking out a lot of hitters (71), walking very few (10), and if hitters do make contact, it is usually not very solid contact. Mujica and Rosenthal have had fantastic seasons so far, and both would have been worthy All-Star selections. However, this is just the regular season, and even if the Cardinals stay hot and finish with the best record in baseball, they cannot take home their 12th World Series trophy without first making it all the way through the playoffs. Well then … what are the biggest differences between regular season games and playoff games? 3. Cooler temperatures–leading to more defensive swings, less solid contact, and ultimately fewer runs scored (point #2). Thus, one of the most important characteristics for a closer in the playoffs is his ability to make hitters swing and miss, and this is where Rosenthal clearly outperforms Mujica. Rosenthal strikes out just under 36% of the batters he faces, while Mujica strikes out just 22% of them. This point can be further accentuated by Rosenthal’s 13.3 strikeouts per nine innings compared to Mujica’s 7.5 strikeouts per nine innings. According to PITCHf/x, hitters make contact 70.6% of the time they swing at a Rosenthal pitch, while they make contact 77.3% of the time they swing at pitch thrown by Mujica. Rosenthal is giving up a home run every 18 innings compared to Mujica giving up one every nine innings. This can be a game-changer, especially in one-run save opportunities. One late-inning home run allowed can not only determine the outcome of one game, but it can also play a key role in deciding the series as a whole. Advantage: Rosenthal. Critics have made a point in saying that the Cardinals’ defense is not as good as the fielding percentage may show. I have not had the time to analyze this much, but it is believed by many that the reason the team’s fielding percentage is so high is because the defense as a whole lacks range. If the defense lacks range, it gets to fewer balls, and by getting to fewer balls, it has less chances to make an error. If proven to be true, this “lack of range” will probably be exposed in the playoffs and become a much bigger deal since runs come at a premium in October. 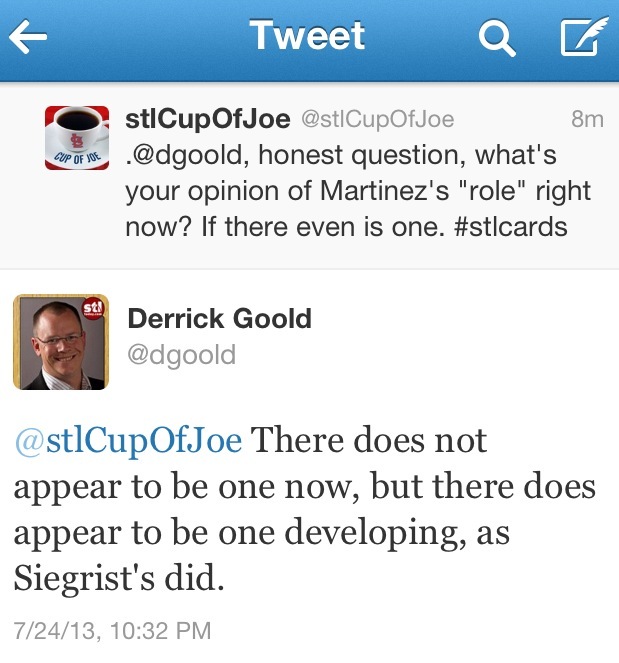 Thus, this is just another reason why Rosenthal is the better choice for the Cardinals in the playoffs. Mujica has done a great job as closer, and as long as he remains effective, I recommend the Cardinals to still use him till the beginning of September. The reason I say this is because Rosenthal is still a rookie, and I don’t want him to have too much stress put on his arm before the playoffs. Sure, Rosenthal has pitched more innings than Mujica so far, but let’s be honest “closer innings” can be more stressful than “set-up man innings” at times. Now I am not undervaluing the set-up man role here, just saying that the stress of “closer innings” can add up, especially on a 23 year old rookie like Rosenthal. The main reason I believe Rosenthal should take over in early September is so he can get comfortable in his new role and get whatever “growing pains” he faces out of the way by the start of the playoffs. This will also give the team ample time to evaluate Rosenthal and see if he is truly ready to take over as closer for the most important parts of the season–the stretch run and the playoffs. A huge thank you to Mujica for what he has done and will continue to do in the closer role until September, but if the Cardinals want to get #12in13, it is in the team’s best interest to move Rosenthal into the closer role. 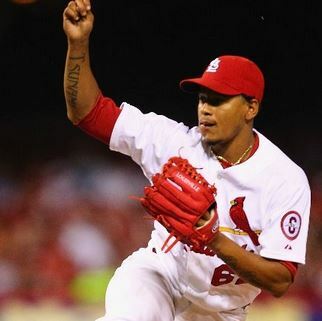 Are the St. Louis Cardinals Utilizing Carlos Martinez the Right Way? UPDATE: 12:50 PM on 7/25: Via Derrick Goold, the Cardinals have optioned Martinez to Triple-A Memphis, recalling LHP Marc Rzepczynski. This poses the question: Is “Scrabble” up to contribute for the rest of the season, or is he up to showcase his arm one more time at the big-league level for potential suitors? We will soon find out. Carlos Martinez‘s “role” for the St. Louis Cardinals. What is it? Does he even have one? Given Goold’s response, the latest rumors linking Martinez to Alexei Ramirez (this has to be a bogus rumor by the way), and the way he has been used since his latest call-up, I decided to delve deeper into the topic. Before I get into possible roles for Martinez, I will give a brief run-down of his season so far. Martinez was up earlier this year in May and had what seemed to be a middle-relief role. However, he was not designated to a specific inning and was used sparingly–making just seven appearances for a total of eight innings pitched. He was basically making one appearance every four days. During that span, he had a 4.50 earned-run average while tallying nine strike outs to just three walks. His ERA was elevated mainly because of one bad outing against Colorado in which he allowed three hits, one walk, and three earned runs in just two-thirds of an inning. Of his seven appearances, he did not allow a run in five of them. Surprisingly for a flamethrower, he allowed 14 ground balls compared to just seven fly balls. He did not allow a home run during this stint. Due to his sparse use out of the big league ‘pen, the front office decided to send him down–looking to “stretch him out” so that he could possibly fill the void at the end of the rotation left by injuries and a suddenly ineffective Tyler Lyons. From May 28th through July 5th, Martinez made eight starts in Triple-A and worked his way up to where he was averaging over 90 pitches each outing. Thus, it is safe to say that he was successfully “stretched out.” He may not have developed the efficiency the team had hoped–only pitching more than seven innings once (a gem against the Iowa Cubs), but he was stretched out nonetheless. During this stint with the Redbirds, he went 3-2 with a 1.98 ERA. In 41 innings pitched, he recorded 35 strike outs while walking 16 batters. In those 41 innings, he allowed just 1 home run and batters were hitting .226 against him. Thus, pleased with his performance in Triple-A, the Cardinals decided to call Martinez up on July 11th for the second time this season. Most saw this as a short-term move to fill in for an overworked bullpen, but exactly two weeks later, Martinez is still a part of the big league bullpen. However, just like before, the Cardinals have only used him sparingly. In nine team games since his second call-up, Martinez has a grand total of three appearances for just three and one-third innings pitched. In his first appearance, he kept the Cardinals in the game against the Cubs on July 13th by pitching two scoreless innings, but his last two appearances have been what can be termed “mop-up” duty only. On July 19th, six days after his last relief appearance, Martinez struggled in this “mop-up” role against the Padres. Hopeful to have a night off for closer, Edward Mujica, Matheny sent in Martinez to close out the ninth for the Cardinals who were leading 9-3 at the time. Martinez followed by allowing three hits, one walk, and three earned runs and was able to record just one out. Because of this poor performance, he forced the Cardinals to use Mujica when they really did not want to. Just last night, with the Cardinals leading 11-3 over the hapless Phillies, Martinez came in again to close out the ninth. This time, he had much more success–retiring Philadelphia in order on just 13 pitches. His second stint has been just as uneventful as the first. However, he has yet to allow a home run in the big leagues and with a 2.75 SIERA, it shows that major league hitters have trouble making solid contact against him, if at all. Thus, with all this in mind, it leaves fans and writers wondering what exactly his role is for this team? Well, as I see it, there are four possible options for Martinez, and for his sake, the Cardinals need to use him in one of them. 1. Although I hate this term, Martinez can serve as the “bridge” between the starters and the 8th/9th inning combination of Trevor Rosenthal/Mujica. This is essentially the role that Mujica assumed for the Cardinals after coming over from the Marlins last season. 2. Martinez can fill the void and assume the position of 5th starter in the rotation. Sure, Matheny has done a great job at juggling the rotation and utilizing off-days so that the team has not needed a 5th starter yet. However, the team has 19 straight games without a day off, so a fifth starter is absolutely necessary. If the team sent him down to Triple-A to get stretched out and he was impressive enough to be called up, shouldn’t he at least get a shot in the rotation? What’s the worst thing that could happen? If he struggles, the team can look at other options like returning to Joe Kelly or giving Lyons another chance. 3. He can be traded. Although I strongly disagree with this option, I have come to the realization that there really is no such thing as an untouchable prospect anymore. If the members of the front office find a deal that they truly believe will make the team better–both in the short-term and the long-term–then can they really pass that up? I have been having trouble finding a trade that will help the Cardinals out in the long-run (meaning past this season), but that is why I am just a Twitter/Blogging-GM, not a well-respected GM like John Mozeliak. 4. He can be sent back down. I don’t really like this option either, but if he is not going to be used in one of the aforementioned roles, then what is the point in having him sit in the bullpen and pitch one inning every 5th or 6th day? He is too valuable of an arm to not gain the experience needed to be a successful big league pitcher in the future. Sure, he can learn a lot from the pitchers on the big league roster through side sessions, but what he really needs is to face live hitters and develop an effective off-speed pitch to complement his electric heater. If he is indeed sent down, I see the team either calling up Keith Butler for the bullpen or Lyons for the 5th spot in the rotation. Each month, the United Cardinal Bloggers are assigned one group writing project. Well, for July, piggybacking off last month’s project about the Hall-of-Fame exhibit, we were asked to pick five players we believed should be in the new Cardinals Hall-of-Fame. At the end, our votes will be tallied and then the UCB nominees will be published around July 29th. Thus, my post does not end here, so keep an eye on the UCB website (link is above) or on C70 at the Bat’s blog for the final tally. Quick disclaimer: Any Cardinal that currently has his number retired (i.e. Ozzie, Red, Stan, etc.) are already considered part of the Cardinals Hall of Fame, so they aren’t eligible. Also, players who are already in the MLB Hall-of-Fame, like Joe Medwick, are not eligible either. The point of this project is to recognize some of the Cardinal greats that may not be getting the recognition they deserve. For his career, Flood hit .293 and had an on-base percentage of .343. He slashed his way to 271 doubles, 84 home runs, and 633 runs batted in. His best tool, though, was his defense–by far. He accumulated seven straight Gold Glove awards. One must not forget that he won these awards during the prime of the great Willie Mays. 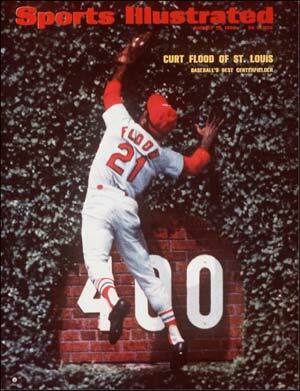 Flood was the best defensive center fielder of his time. Although he may not have the over-the-shoulder basket catch on film to show it like Mays, it is simply the truth. Lastly, he was named to three All-Star teams and was an integral part of two World Series titles. Off the field, he changed the game of baseball forever. I will not get into this because I am sure other bloggers can tell the tale better than me, but in short, Flood basically is the reason that collective bargaining/player arbitration exists today. He may have failed with his own attempts, but soon after his playing career, it came into existence and is still around today. If someone had such an impact on and off the field, he deserves to be in the Hall-of-Fame in Cooperstown, not just the Cardinals HOF. Take a bow, Mr. Flood, you deserve it. Over nine years, Shannon hit .255 with 68 home runs and 367 runs batted in. He was a part of two World Series championships–1964 and 1967. He also had a knack for key home runs in the World Series. He hit the game-tying two-run homer in Game 1 off Whitey Ford in the 1964. Then in 1967, he hit a home run to help clinch game 3 against Boston. One of my favorite broadcasts of Shannon’s was probably 5-7 years ago when the team was in New York playing the Mets. The game must have been a boring one because Shannon went on what seemed like a 15 minute tangent about the moon above the stadium. He ended his tangent by saying, “I wish you folks back in St. Louis could see this moon.” I don’t think I’ve ever laughed that hard listening to a baseball game on the radio. The clubhouse in Jupiter, Florida was named after Kissell and has a plaque that reads, “Every player in the Cardinals’ Organization since 1940 has had contact with George Kissell and they have all been better for it. … Well known for his emphasis on fundamentals, George taught several generations of Redbirds how to play baseball.” Do I really need to say more? That really does sum it up perfectly. Kissell was a living representation of the Cardinal Way, and his teaching philosophies will be forever remembered in the teaching manuals the organization comprised over the years. Through two stints with the St. Louis Cardinals, McGee always remained a true fan favorite. Other than the next player on my list, McGee is the only player I have been lucky enough to see play. For his Cardinals career, he had a .294 batting average and .329 on-base percentage. He hit 255 doubles, 63 home runs, and 678 runs batted in. He won 3 Gold Glove Awards and was named to the All-Star team four times. He won two batting titles (1985 and 1990) and was a part of one World Series championship in 1982. One of my favorite memories of Willie #51 was in August of 1999. I looked up the date just to be sure, and it occurred on August 5th. Tony Gwynn was looking for his 3,000th hit, and Mark McGwire was looking for his 500th career home run. Well, Gwynn hit a looping fly-ball in front of McGee that looked like it was going to be his 3,000th hit. However, Willie was able to snare it just before it hit the ground for a true shoe-string catch–preventing Gwynn’s 3,000th hit. Also in the game, Big Mac hit his 500th and 501st home runs off Padres pitcher, Andy Ashby. Although the Cardinals fell 10-3, it was still a pretty historic night that I will remember for a long time. In his first season with St. Louis in 2000, Kile went 20-9–the first Cardinals pitcher with 20 wins since John Tudor and Joaquin Andujar in 1985. That year, he made his third All-Star team and finished 5th in the Cy Young Award voting. In less than two and a half seasons for the Cardinals, Kile had incredible statistics. He had seven complete games (two shut-outs) and averaged just under 227 innings pitched per season. He finished with a 41-24 record (.631 winning percentage). He struck out 421 batters as a Cardinal–largely due to his dynamite curve ball and bulldog approach to pitching. In his entire career, Kile never once was placed on the disabled-list. When can you ever say that about a pitcher? Also, how would Matt Morris have turned out without the tutelage of Kile? If I believe correctly, Kile is the one who taught Morris that devastating curve ball. Kile was the Chris Carpenter for the Cardinals before Carpenter was around. If Kile was still alive, I strongly believe he would be the team’s pitching coach at this time–as long as Houston or Colorado did not grab him first. I will forever remember where I was when I was told the news. I was playing in a game of my own at the Affton Athletic Association, thus was not able to watch the game against the Cubs. My parents knew how much I liked him so they waited to tell me after the game so that it would not affect me. These words from Joe Girardi give me goosebumps and cause me to tear up to this day. Rest in Peace, Darryl Kile. Thus, there is my ballot. Most of the players and the coach existed before my time, but with players such as Jim Edmonds and Chris Carpenter not currently eligible for National Hall-of-Fame voting, let’s wait a while for them. However, 3-5 years down the road, both of these people I just listed deserve to be in the Cardinals Hall-of-Fame as well. I am a firm believer that Edmonds should be strongly considered for the National Hall-of-Fame so let’s see how he does with that voting first.